Famed planet hunter Geoff Marcy has resigned from his position at the University of California, Berkeley in the aftermath of a sexual harassment investigation. 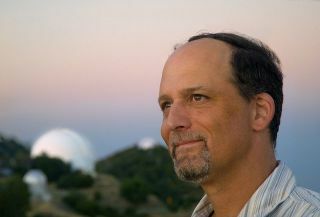 Geoff Marcy, a leader in the field of exoplanet research, has resigned from his position as a professor of astronomy at the University of California, Berkeley, following an investigation that found he violated the school's sexual harassment policies. In a statement, Nicholas B. Dirks, the university's chancellor, and Claude Steele, its executive vice chancellor and provost, said Marcy resigned Wednesday morning (Oct. 14). The findings of the school investigation were first made public on Friday (Oct. 9) in a story by BuzzFeed News. "We believe this outcome is entirely appropriate and have immediately accepted his resignation," the statement said. "We want to state unequivocally that Professor Marcy's conduct, as determined by the investigation, was contemptible and inexcusable. We also want to express our sympathy to the women who were victimized, and we deeply regret the pain they have suffered." Marcy has also resigned from his position as principal investigator of Breakthrough Listen, a project to search for signs of intelligent extraterrestrial life that was recently given $10 million in funding by Russian entrepreneur Yuri Milner, according to the organization's website. Marcy is considered a leader in the astrophysics community and a pioneer in the study of exoplanets (those orbiting stars other than our own). He collaborated in the discovery of 70 of the first 100 exoplanets ever identified, as well as the first multiplanet system around a sunlike star. He is listed as a co-investigator of the Kepler mission, which has used the space-based Kepler telescope to discover more than 1,000 confirmed exoplanets and more than 4,500 exoplanet candidates. Following the publication of that article by BuzzFeed News, the university released a statement, obtained by Space.com, which said the investigation, conducted by the school's Title IX office, "stemmed from a number of incidents believed to have occurred between 2001 and 2010 and involved students who have since graduated." BuzzFeed News did not publish any documentation associated with the investigation, but stated that it "spoke to three of the four complainants." UC Berkeley declined a request by Space.com to release any specific information from the investigation. Marcy has released an "An Open Letter to the Astronomy Community," dated Oct. 7, in order to "apologize for mistakes I've made." In it, he states, "While I do not agree with each complaint that was made, it is clear that my behavior was unwelcomed by some women. I take full responsibility and hold myself completely accountable for my actions and the impact they had. For that and to the women affected, I sincerely apologize." UC Berkeley has come under fire for not disciplining Marcy harshly enough. The initial statement from the school said, "Professor Marcy and the Vice Provost entered into an agreement that states he will abide by clear expectations concerning his future interactions with students. Were he to fail to meet those expectations, the terms of the agreement provide that he would be immediately subject to sanctions that could include suspension or dismissal." Following the public response, the school then released a second statement defending its decision, stating, "The university has imposed real consequences on Professor Geoff Marcy by establishing a zero tolerance policy regarding future behavior and by stripping him of the procedural protections that all other faculty members enjoy before he can be subject to discipline up to and including termination." The most recent statement from UC Berkeley further defended that decision by saying, "Our objective was to protect our students by immediately preventing any re-occurrence of the behavior described in the investigative report. We thus chose to establish, in writing, a strict set of behavioral standards that went beyond what is specifically proscribed by the University's rules and regulations. In addition, the agreement authorized the administration to bypass the lengthy, uncertain disciplinary process by stripping the professor of a faculty member's usual due process rights." "We recognize and share the frustration that many have expressed, and we are committed to work[ing] with the Office of the President and the Academic Senate to reform the University’s disciplinary processes, criteria and standards so that, in the future, we have different and better options for discipline of faculty," the statement continued. "We also want our campus community to know that we fully support new efforts now underway in a number of departments and colleges to address cultural issues and standards related to sexual harassment. We must do everything in our power to create the conditions necessary for quick and confidential reporting of suspected violations of our rules and standards of conduct." Since Friday, multiple media outlets have written about the story and subsequent developments, including The Washington Post, The New York Times, The Atlantic, Forbes, The Chronicle of Higher Education and others. The story has spurred discussions on social media about Marcy's behavior and its effect on the astronomy community, as well as the larger issue of sexual harassment in science and academia. Over the weekend and through today (Oct. 14), multiple colleagues, students and former students of Marcy have spoken with news outlets and written about Marcy's inappropriate sexual behavior toward students, stating that it was an "open secret." On Monday (Oct. 12), 22 faculty members in the school's astronomy department signed a letter that ended by saying, "We believe that Geoff Marcy cannot perform the functions of a faculty member." Marcy's open letter was originally sent to the American Astronomical Society's Committee on the Status of Women in Astronomy (CSWA), which declined to publish the letter in its newsletter. The current CSWA Chair, Christina Richey, wrote a blog post in response to Marcy's letter and the subsequent media coverage, in which she spoke about the larger problem of sexual harassment in the astronomy community and in academia.